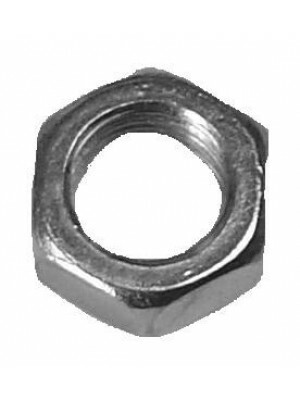 Vacuum Wiper -Restored original TRICO vacuem wiper motor for all 1930-1931 Tudor/ 1930-early 1931 4 ..
Wiper Shaft Nut- For the threaded shaft on the long shaft Trico vacuem wiper motors used on the .. 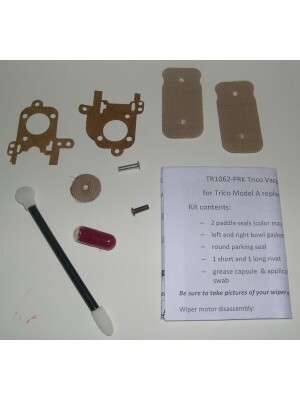 Vacuum Wiper Rebuild Kit- Fit any TRICO wiper that does NOT have two small screws holding the revers.. 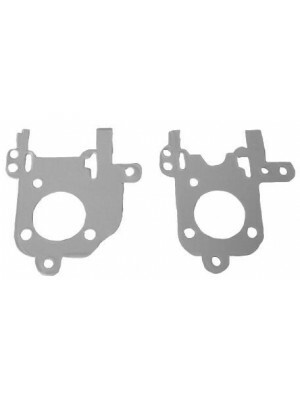 Vacuum Wiper Gasket Set- This gasket set fits ALL Model A Trico wiper motors. Made in the USA.. Vacuum Tube - W/Clips- Fastens to the windshield posts on the 1930-1931 Std. Roadster, Std. Ph.. 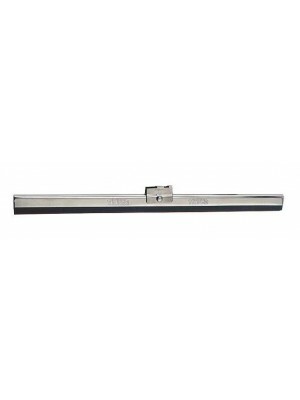 Vacuum Wiper Tube With mounting Clips- Fastens to the drivers side windshield post and fits th..
7 1/4" Plain Wiper Blade - Universal style. 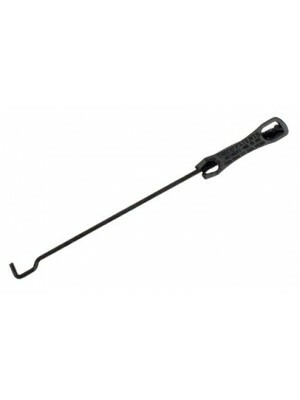 Has a litle hook on it and only works with non..
8 1/4" Plain Wiper Blade- Universal style. 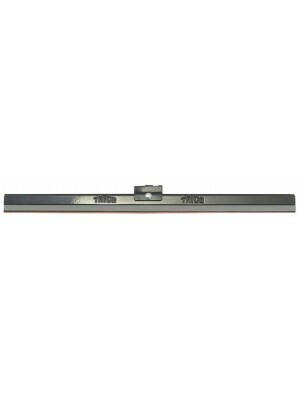 Has a litle hook on it and only works with..
Wiper Blade- Trico 5 Layer. Fits vacuum wipers from 1930-1931. This black metal blade has 5 layers a.. 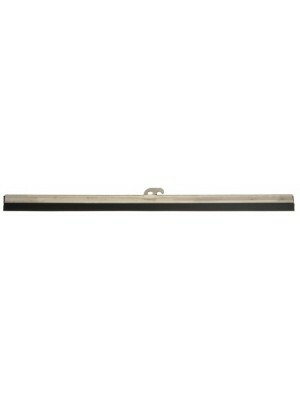 This 5 layer chrome USA made blade is 8 1/4" long. 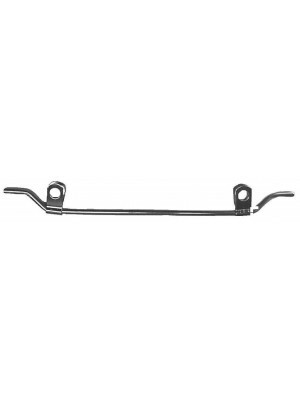 It fits Deluxe Roadsters, Del..
Wiper Arm- Fits the vacuum wiper motors for the open and closed cars in 1930-1931. 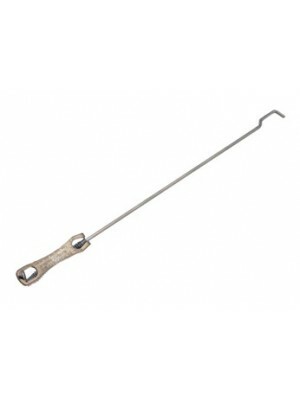 ONLY can be used ..
Wiper Arm- Stainless. 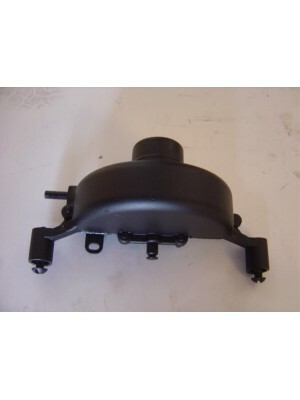 Fits only 1930-1931 Trico vacuum wiper motors and only with the replacement st..
Wiper Arm- This black USA made arm is 6 3/4" long. 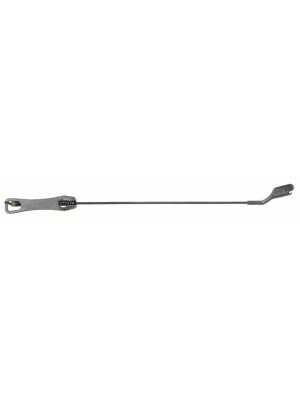 It fits the Trico vacuum wiper motors u..
Wiper Arm- Chrome plated. 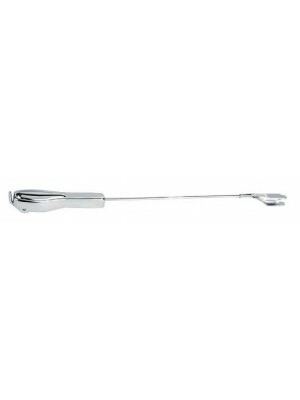 This 6 3/4" long arm is used on all Deluxe Roadsters, Deluxe Phaetons..
Wiper Arm- 8 1/4" long arm is used ONLY on the Standard Slant Windshield 4-Door Sedans. Uses the A-1..